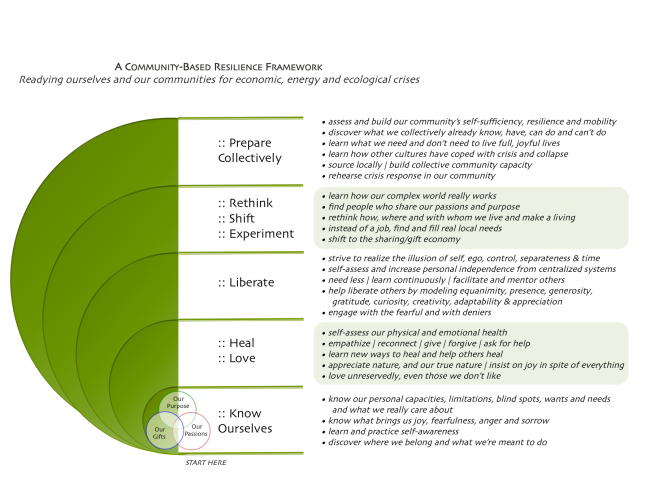 Thanks to some suggestions from Transition Network co-founder Ben Brangwyn and others, I’ve revised and condensed the Community-Based Resilience Framework I published here a few months ago. The two main changes are the elimination of the accompanying explanation (my hope is that this can stand alone as a poster for Resilience groups to use), and reordering it into five “stages”, from the inner work of knowing ourselves better, to the collective work of building community and preparing communities for dramatic and permanent change. I’ve also eliminated the rhetoric about the inevitability of civilization’s collapse, in the hope that will make this model more accessible to the whole spectrum of groups concerned about the grave crises we are facing. 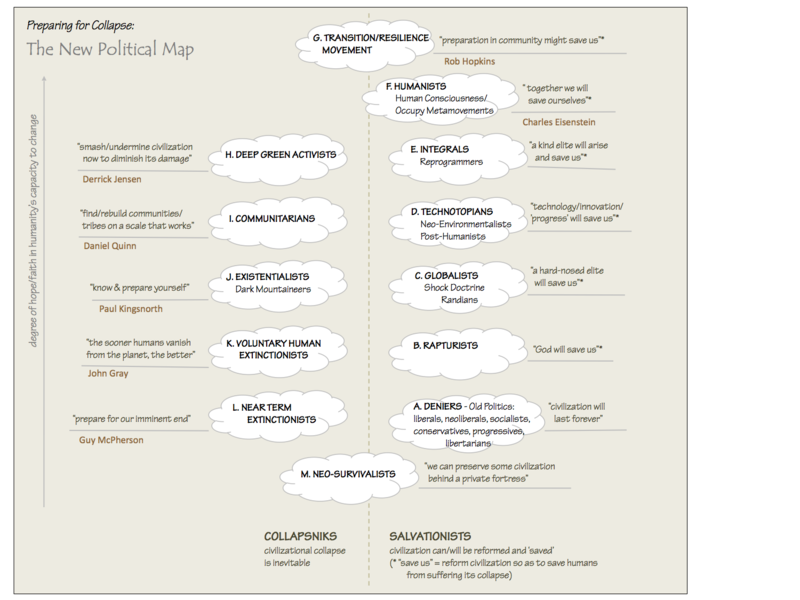 You can download it full-size as a PDF poster here. I can think of some folks locally to share this with – now that it is without the collapse rhetoric (not that I have any problem with that as you know) – it could be used as a framework for the local groups that are trying to deal with the “post-coal” crisis in central Appalachia.